Donald Bradner submitted this photo and caption. This photo was taken before the awards ceremony on Finals night at the World Championships in Indianapolis. I was a "rook-out" with the Blue Stars playing lead baritone and my brother marched as a contra player for his rookie season. 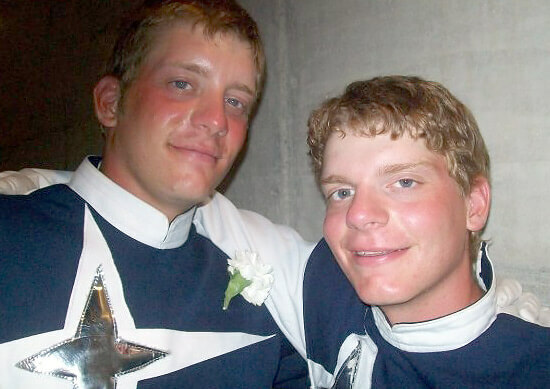 It was an amazing experience to march in such a great class-act finalist corps with my brother. Thanks to the Blue Stars staff and volunteers for an unforgettable season.